We are an independent, not-for-profit, registered charity organisation that helps people of all ages with learning disabilities and disadvataged into the working world. Our cafés are located across North Nottinghamshire, with bases at Vicar Water, Clipstone, Sutton Lawn Pleasure Ground, Sutton in Ashfield, and Sconce and Devon Park, Newark. 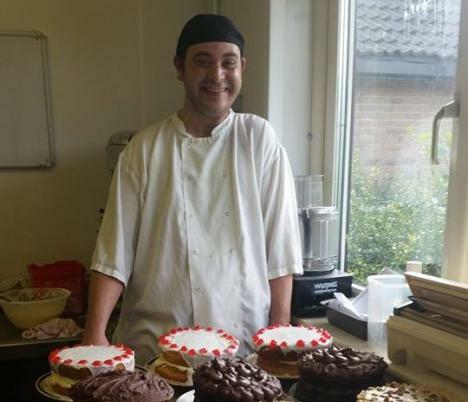 Our cafés offer the opportunity for people with disabilities to work in an inclusive and safe working environment. We also offer a catering and lifeskills training programme which helps students and beneficiaries make the leap from education to employment or voluntary service and independant living. Students can also progress on to professional NVQ courses in Catering, Customer Service and Hospitality. Your support of our charity is essential for Rumbles to continue to offer opportunities for the people we employ, our volunteers and the community. We offer, to those who wouldn’t otherwise have the opportunity, the chance to experience working within a realistic, socially inclusive work environment, whilst building and developing confidence and life skills for all who work and volunteer at the project. The cafe at Vicar Water Country Park is Rumbles' headquarters. 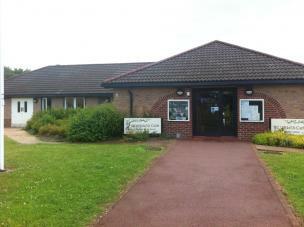 We moved into the facility at Clipstone in September 2000. Our previous facility at Gwendoline Grove House in Clipstone was no longer big enough for the number of volunteers comming to us. We were approached by Newark & Sherwood District Council, who own the building, who gave us the opportunity to manage and run the cafe. After 2 years the Council extended the facility to give us more space and since then Rumbles have gone from strength to strength and are now established as a country park cafe with a fantastic, loyal customer base. Vicar Water Country Park is on part of the local cycle route which passes through the park and onto Sherwood Forest and beyond. The area is of historical interest being adjacent to Kings Clipstone. The remains of King Johns Castle are only a few minutes away by car where annual events are held. Centre Parcs is just up the road as is Rufford Abbey and Clumber Park. 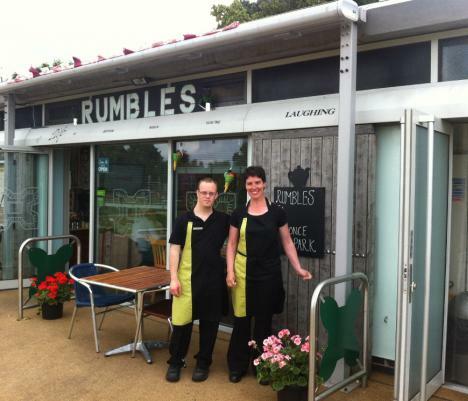 Rumbles were approached by Ashfield District Council to run the newly built cafe facility on Sutton Lawn Pleasure Ground in Sutton in Ashfield in 2007 after witnessing the success of the cafe at Vicar Water Country Park. After successfully acquiring a Lottery grant to fund the set up and initial running of the cafe, Rumbles opened its doors to the public in May 2007. This new facility provided another opportunity to offer work based volunteering and training placements for our growing number of beneficiaries attending the project. We then went on to offer local schools work experience placements for their students. This has proved to be a great success and Rumbles are now an approved placement provider for the local area. The park has been host to annual events such as The Dog Show, Bonfire Night and the Sutton Show. There is a skate park with ramps and adjacent to this is a fitness area with equipment which is available for anyone to use. The park also has a football pitch which is in regular use by local soccer groups and schools. 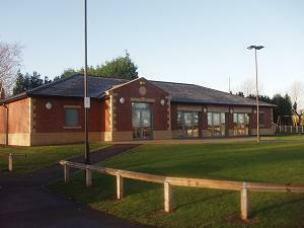 The cafe facility at Sconce and Devon Park was built in 2010 with funding from The Heritage Lottery and Newark & Sherwood District Council. 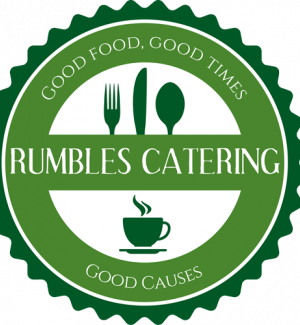 Rumbles were offered the opportunity to manage and run the cafe by the council. We secured Lottery funding for the initial set up and running for the project and were very lucky to find a team of staff members and volunteers who are with us to this day. Sconce and Devon Park is part of Newark's Civil War Trail and Cycle Route. The park is host to a 'Park Run' every Saturday morning and local walking groups regularly meet at the cafe for refreshments after their hike around the area. 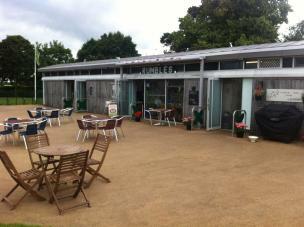 The cafe is a popular 'meeting and eating' place for local residents, disability groups and young Mum's. The Newark area is of 'high historical importance. The ruins of Newark Castle and the canal network are very popular all year round with re-enactments and open air perfomances at the castle and regular canal cruises from the jetty near the castle.